The smartphone app makes it easy to do your homework for the Neural Repatterning Technique (NRT) treatment. This app lets you adjust the trigger to create a minimal reaction. 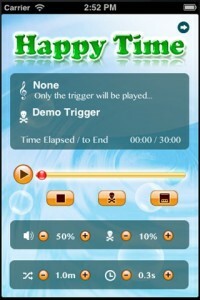 It will let you choose your favorite songs for the treatment. It will let you choose which trigger you will work on each day. Available on iPhone and Android. There was a free version of the app for iPhone, but I found that people were trying to see if it “worked” for them. The free version was not suitable for treatment, and is no longer available. If you really cannot afford the $40 for the app, then I can subsidize you. Contact me by email. The Dozier Misophonia Trigger Tamer is available on iTunes as of 8/25/17. The app is available on Google Play for Android devices as the Misophonia Trigger Tamer Plus. It is also available on Amazon.com.